I love stuff like this. 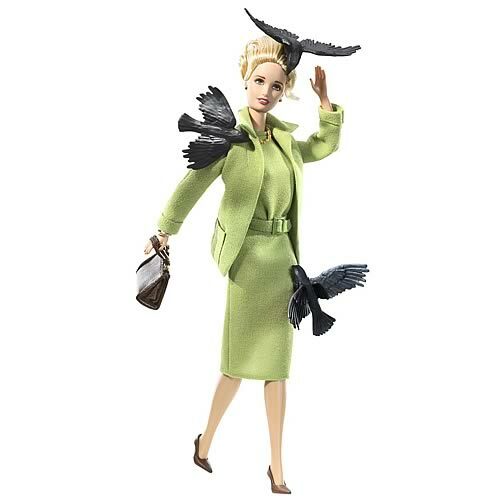 Could you ever have predicted Mattel putting out a Hitchcockian The Birds Barbie? I eagerly await the cross-dressing "Psycho" Ken doll. The look on her face is disturbingly serene. Barbie is definitely on too much prozac. There should be a "Rear Window" Ken! were can i buy this not online, i live in Ireland!! please help!!!!!!! I hate barbie, but this design rules. I love this Hitchcockian barbie doll. Great stuff ! !